In 2010 his Cataclysm videos, talking while playing the game, made him more and more popular. I am assuming he wasn’t the 1st let’s player, but he certainly made the genre big. And with this newfound audience he started the excellent WTF IS series. In the early 2000s he started to do shoutcasts for his beloved Starcraf 2 as well, he was easily the best SC2 announcer with Apollo and Day9. Easily being the best voice in Esports for a long time to come ! Sadly in 2015 TB tweeted the news that he was diagnosed with cancer. Strangely enough my dad was diagnosed with lymphoma not long thereafter, it was all a bit much. TB battled the disease well up till the point where the chemicals didn’t work any more. Last month, in april he tweeted it was pretty much over and he didn’t have long to go. On may 24th he passed away. His passing leaves me with a big feeling of sadness. It’s not like a celeb you read about in the paper, this seems more personal and a more profound feeling of loss. Especially since he was still in his early 30s. TB you will definately be missed by many, he singlehandedly changed the game of youtube commenators / game critiquing, reviewing and shoutcasting to boot. Posted in Gaming and tagged Gaming, youtube on 25/5/2018 by Eric. 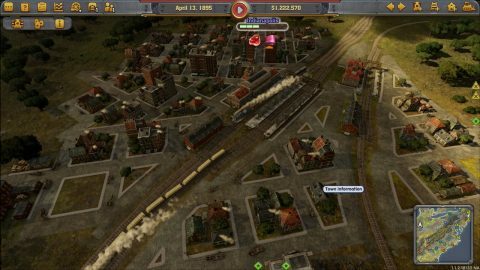 Railway Empire is a new railroad tycoon game, in the spirit of the old railroad tycoon by Sid Meier. Made by Gaming Minds, in Germany. 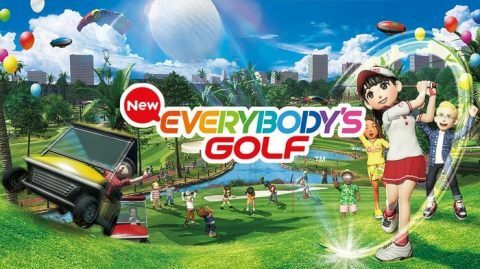 I have put in quite a few hours in this game, because I streamed it the past few weeks on twitch. So if you check the videos on my channel, you can see (almost) the entire campaign. The game is quite enjoyable, the graphics, especially the locomotives, are nice, and the presentation is polished. 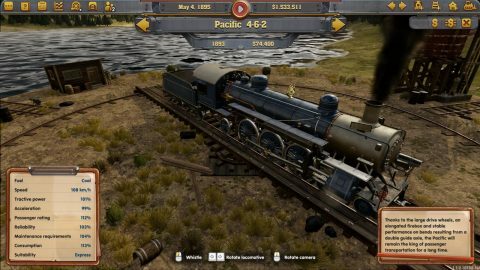 The track editing itself is pretty good, one of the best I have seen in a train game to be honest. One thing though, you can’t cross tracks ! Which is very frustrating, especially at the start. Somewhere along the line you get used to it, and build around it (or above as the case may be), but it’s still very annoying. 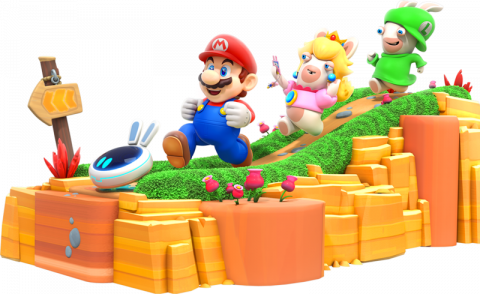 There are four play modes, you should probably start off with the campaign, then there are a bunch of scenarios, that are quite like the campaign chapters, but they’re standalone and don’t have any cut scenes. 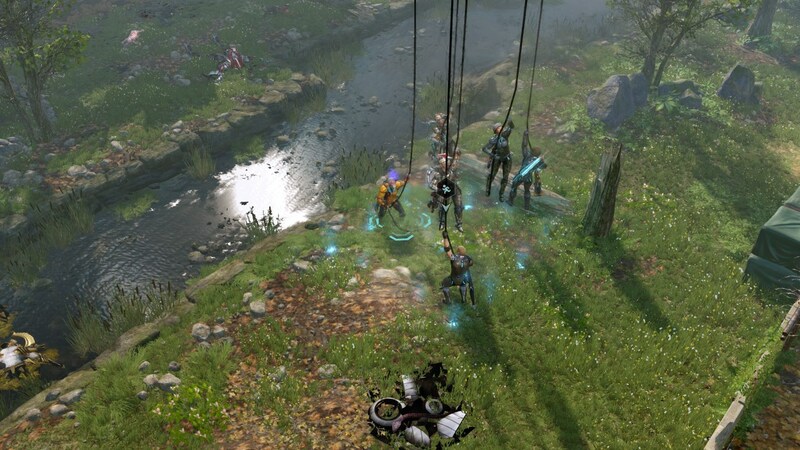 Then there’s freemode, which leaves you with the most flexibility as you can pick the era to play in and one of the five maps, that you get to know in the campaign. 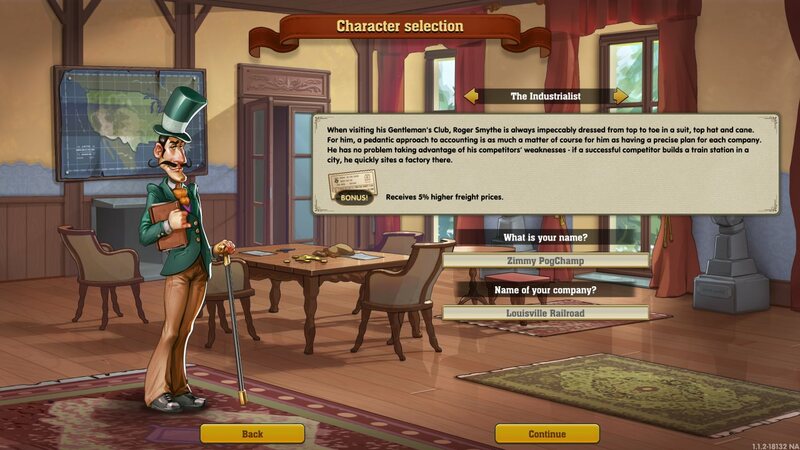 Last (and least ;)) there is a sandbox mode without money and competition. Might be interesting to test something out, but it doesn’t sound very challenging to me. The campaign is nice with a story to it, basically how the first Transcontinental Railroad was build. Some funny moments are to be had, with the competition being cartoon like characters that talk banter every now and then. The objectives in the campaign aren’t always easy. 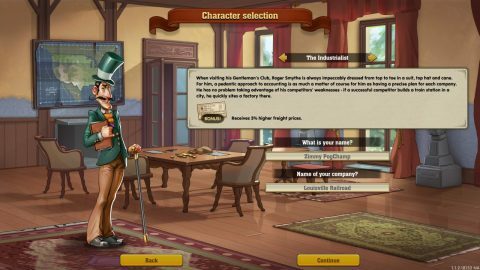 I had to restart a few a few times to get a good understanding what needed to be done to complete a chapter. All in all the campaign is fun, but rather limited. Only 5 chapters in the US (5 maps in all that return in the other game modes) in the timespan of 1940 – 1910. No europe, asia and or japan or whatever. I assume some DLC or expansion packs will remedy this, but for a $50,- it’s a little limited to say the least. Another annoying aspect is that the AI cheats. It’s literally on EASY mode. You can use this mode yourself as well, though I don’t know why anyone would as it takes all the fun out of a train game imho. This means that it only needs one track and the trains never collide, they just run straight through each other. So no need to track changes, double tracks, signals, multi track stations. It’s quite immersion breaking as well to look at. So you better don’t ;). All in all I have been having a good time with the game, and spend quite a few hours in it, and I’ll definately will play it some more. I’ll probably also would buy some more campaign like content, if it’s somewhat reasonably priced. As of now it lacks content and a somewhat more sophisticated AI to warrent it’s big $50,- price tag. Put it on your wishlist and buy it when it’s on sale, that would be my recommendation. The trains are pretty :). 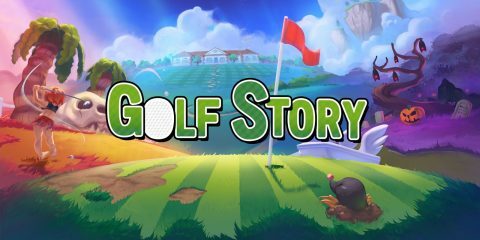 The game is available on both GOG and steam. GOG is DRM free and comes with a kickback of almost 8 Euro in Europe, depending on your location. You can of course also buy a steam key at Greenman Gaming ;). Posted in Gaming, Gaming Review on 27/2/2018 by Eric. Here we go, the final article about 2017, after this I’ll be looking forward into the bright future :). Let’s kick off by a list of games I actually played the most last year. Maybe you can spot a trend here, these are all older games that have received updates or content last year. 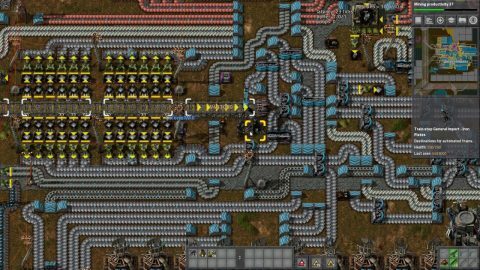 Factorio is now one my most played games (after wow). It was excellent before 0.15, but the end game changed so much with the 0.15 update. You no longer need alien science any more, that was dropped by the alien creature in the game, but was replaced by something you could make yourself. The game overall just got a lot better and better longevity with updates 0.15 and 0.16 (on going now, I assume we’ll see a release this year). 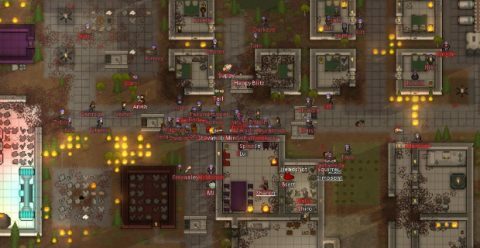 Rimworld is just about the same story, it had two updates last year (A17 and B18, though A16 was released just before the start of 2017) and improved quite a bit. Also mods and addons can make it even better, countless hours of fun, mayhem and frustration to be had here ;). It will probably see a release this year. I kind of missed Hitman release in 2016, and got it on a special deal in 2017 and wow, especially the first few scenarios are so good. I got immersed in it around april and may and played so much. Then it started to fade a little. The new episodes arent as good as the first few ones. 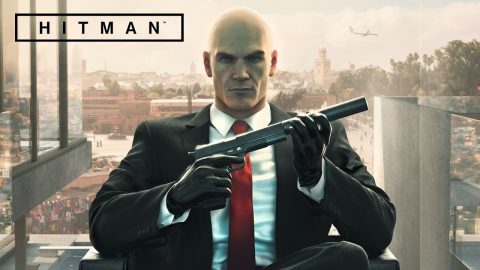 Hitman is now independent of Square Enix and new content might appear this year. World of Warcraft – Legion. Even after 13 years WoW is still going strong. Somehow Blizzard got it right with this expansion, I kept playing throughout without getting bored of the repetitive world quests, and of course raising alts. This year we’ll get a new expansion, very much looking forward to that. 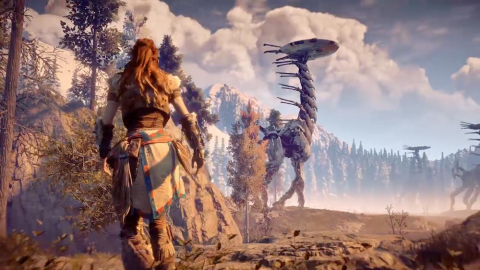 Posted in Gaming and tagged 2017, GOTY on 12/2/2018 by Eric. To be honest I don’t buy a whole lot of Xbox One titles, but there were a few this past year. 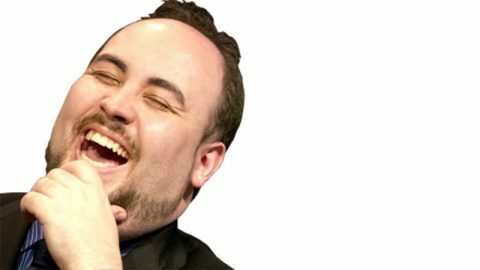 The main reason I boot up the Xbone One is to play a few rounds of Fifa 18 FUT. I play if on a somewhat low level but for some reason it’s great fun to play a few games a few times a week and get the weekly reward, a few gold packs and a stack of coins. I think I only spent real money at the start, and bought some packs to get started. I made a premier league based team and a spanish one. It’s quite fun to see it improve over time. Halo Wars 2 was released earlier in the year, now almost a year ago already. Haven’t seen it mentioned much, and it wasn’t played much on Twitch either. It’s a very decent strategy title though, great controls for the controller as well. The story is enjoyable as well, and it’s gotten some DLC over the course of the year. You can also play it on Windows 10, but I found it more convenient to play it on the XBOX. I didn’t really plan to get Forza 7, but it was pretty cheap around Xmas I think, so I picked it up then. It’s got a lot of tracks and different types of contests, but it feels a bit too arcady. Maybe I should play around with the settings a bit, and make it slightly more realistic. 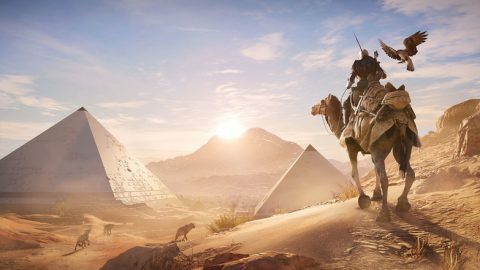 Asassin’s Creed Origins was the last purchase of the year, already reduced in price for 39,99. The game looks wonderful, has plenty to do and a decent story. If you’re looking for a vast, somewhat open world game, this one is pretty good. That’s it for the Xbox for 2017, it’s a nice console, but I have to say that overall PS4 has more and better exclusives. Most of the Xbox One titles you can also get for PC, where they play usually better. The Xbox is in an odd spot in that regard. For convenience some titles are easier to play on the xbox. Just pop in the disc and off you go ;). Posted in Gaming and tagged 2017, Gaming, xbox one on 4/2/2018 by Eric. Now I could be wrong and every year a whole bunch of turn based game come out, and I might have not noticed. In case I missed any good ones, let me know. Anyway, from that list I’d say XCOM 2 is my favorite. I even finished one game (which is rare for me ;)), loved most of the improvements from Xcom 1. My number 2 would be darkest dungeon. Love the artstyle and the narrator. Unfortunately this one got a little spoiled for me, due to early access. Played it quite a lot when it just came out. Only just recently started a new run and a lot has been added since ! Halcyon 6 and Steamworld Heist, both indy games were surprisingly good. SW Heist has nice humor and a nice artstyle, the campaign lasts about 15 – 20 hrs, the game is / will be on sale often, so keep your eye out for this on. 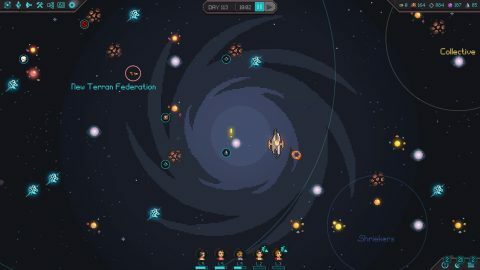 Halcyon 6 still gets great reviews on Steam, it’s a mix of FTL and Xcom with a 16bit like (pixel) art style. Fun game to play for sure. Wish I played more of Civ 6, stellaris, HOI IV and total war(hammer). All good games that will only get better with DLC / expansions ! I have seen a lot of Mordheim on twitch by tornis (http://www.twitch.tv/tornis). Very extensive game with a long campaign with several faction, the strategy seems to be top notch. I only played the tutorials and that already took several hours ;). Something to keep in mind when you’re interested in this one. Posted in Gaming and tagged 2016, Gaming on 1/1/2017 by Eric.